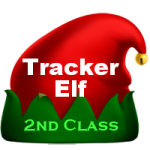 I’m pleased to announced that as of late last night we have surpassed more than 1,000,000 new tracker elves so far this season. Just 5 million more to meet our goal! Today marks just one month — a whole 31 days! — to meet the goal. It took us only 48 days to get to 1 million. So getting to 6 million total in 31 days should be no problem. Please keep up the work of talking to your family and friends. Those of you who use social media, continue to share the news from here as you can and to answer questions about elfhood that you can handle. Send them here if their questions are super tough. We’ll help them sort it all out. Please continue to share with your classmates, your co-workers and all the fellow believers in Santa you know and meet. This is how we will get to our goal. Word of mouth. There will be no expensive ads. No job postings. All of our recruiting comes by way of word of mouth. That’s how we find the right folks. It does no good to hire 6 million strangers or non-believers. So that is why we stick to our word of mouth campaigns. 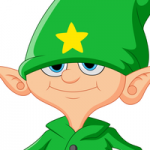 The more you talk, the more we get new elves.